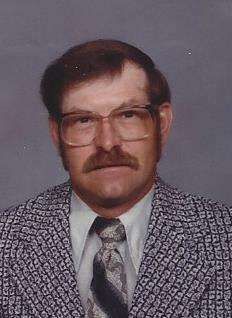 Jerome Henry Rustemeyer, 67, of Loose Creek passed away Friday, February 8, 2019, at Capital Region Medical Center in Jefferson City. Jerome was born January 8, 1952, in Jefferson City, a son to the late Albert and Pauline (Kremer) Rustemeyer. He attended Fatima High School. Jerome was united in marriage on July 6, 1974, in Rich Fountain, to Delores T. (Luebbert) Rustemeyer, who proceeded him in death on June 8, 2011. Jerome was employed at Locks Feed Mill and Sylvester Backes Poultry both in Loose Creek, Play-Mor Trailers in Westphalia, Quaker Window in Freeburg and his greatest enjoyment was being a lifelong farmer and spending time with his family. He didn’t like retirement, only wished he could work and do his farming, but he wasn’t able. Jerome was a member of Immaculate Conception Catholic Church in Loose Creek. Jerome is survived by: one son, Jim Rustemeyer of Loose Creek; two sisters, Caroline Rustemeyer of Loose Creek and Joan Goans and her husband Ralph of Linn; as well as many nieces and nephews. Visitation will be held from 4:00 p.m. to 7:00 p.m. on Tuesday, February 12, 2019, at Morton Chapel in Linn with a Funeral Service to follow at 7:00 p.m. with Rev. Callistus C. Okoroji officiating. Interment will be in the Immaculate Conception Parish Cemetery in Loose Creek. Expressions of sympathy may be made to the American Diabetes Association or Immaculate Conception Building Fund.